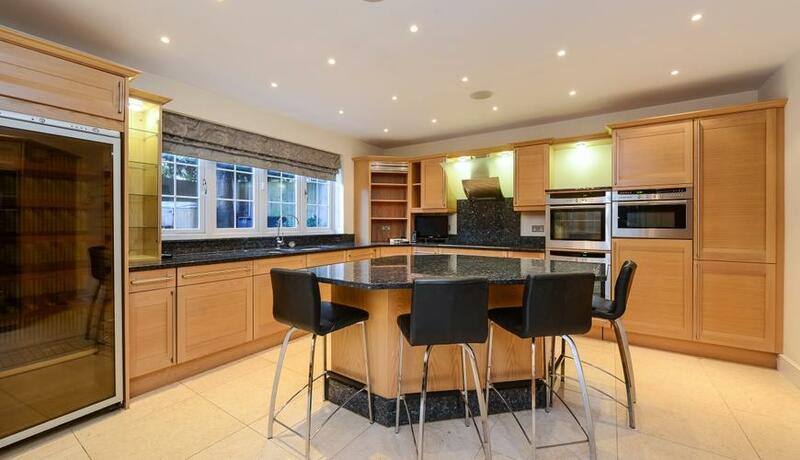 Impressive five bedroom, six bathroom family house for rent on a private road close to BR stations, with gym, outdoor pool, sauna, games room and home cinema. Available April. Chislehurst has all the trademarks of a Kentish village but within touching distance of London, Chislehurst offers country walks, scenic parks, mysterious caves, great shopping and superb dining. Chislehurst also has a great selection of shops, boutiques, restaurants and pubs along the High Street and the Royal Parade. Located in Zone 5 Chislehurst is only a 20 minute train ride to London Bridge and a 30 minute ride to Charing Cross. Popular with families Chislehurst has a great mix of independent and state schools and beautiful Scadbury Park which is popular with walkers and joggers.